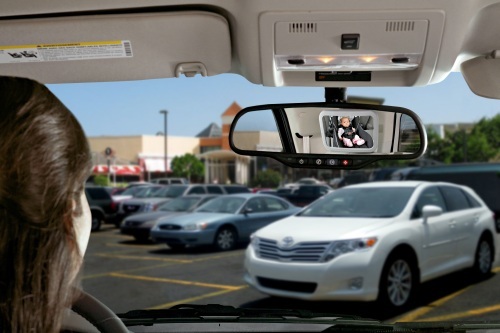 The Britax Back Seat Mirror (Model # S864600) provides a view of your rear-facing baby at any angle while allowing installation to adjacent vehicle head restraints. 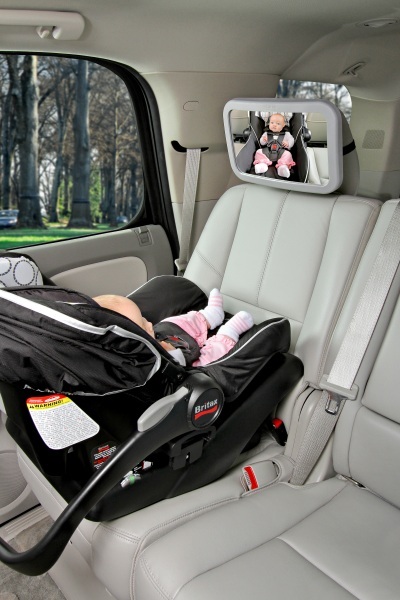 The shatter-proof, extra large mirror is convex to reflect a head-to-toe view of baby. 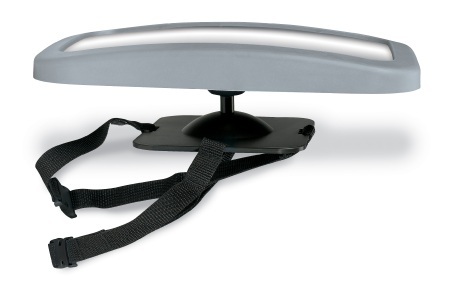 The adjustable attachment straps allow the mirror to securely attach to most vehicle head restraints, while its soft-feel frame design has a sleek, modern look. Love this mirror should have bought it earlier..
Great price. Nice and big. Easy adjustment. Reasonably easy to install. Love this mirror. 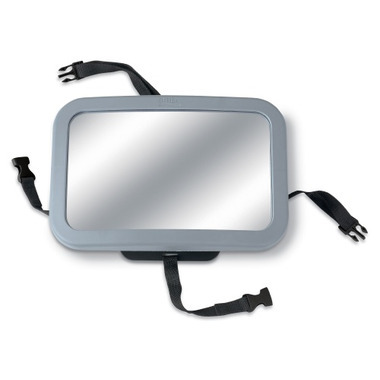 We've tried a few other brands of mirrors, but found this one is the only one that stays put! Very quick and easy to install. My son loves to look at himself as the mirror is large. Also very easy to adjust for the perfect angle. Mirror stays in place very well! Exactly what we needed. Nice size and great visibility. Easy to install, good price, fully adjustable and big view of baby. Exactly what I needed to keep an eye on the little one. The quality is nice and it's very big, so that the baby can see him or herself and mom or dad. This is a great mirror. Its quite large and pivots so you can set it an any angle. It gives a great view of baby in the back !